Despite the fact that time has overtaken The York Realist to render it as almost as a parody of D H Lawrence, the writer Peter Gill himself championed and films such as the recent trail-blazer, God’s Own Country have made it seem almost too familiar, The York Realist still quietly insinuates its way into your heart. 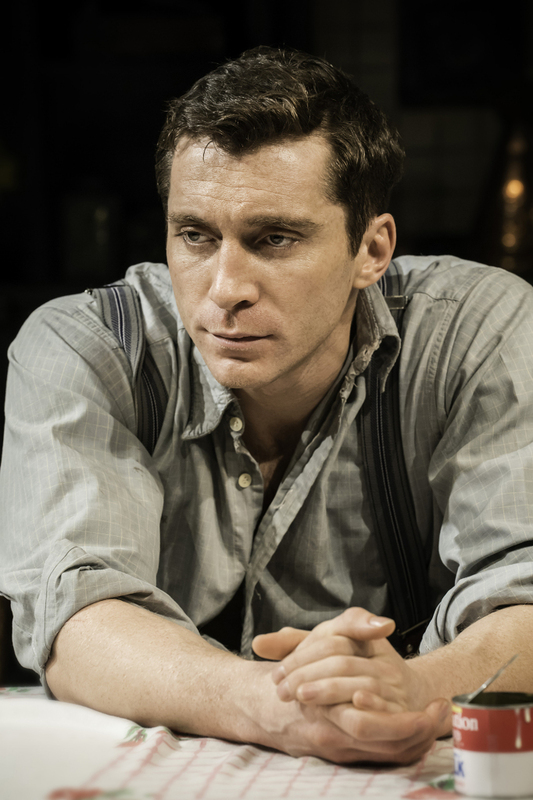 Gill’s The York Realist, premiered by Stephen Unwin’s admirable English Touring Theatre in 2001, is actually based in the 1960s, a time of huge upheaval. Not that you’d know it from the conduct of Gill’s small Yorkshire village farming family headed up by George, a typical son of toil – broad of shoulder and limited of words. Time has stood still – and probably even does to some extent, to this day. All too easy, then, to dismiss Gill’s naturalistic colloquial exchanges as something akin to an episode of The Archers. But Gill, a master craftsman, knows what he’s about. Weaving a gentle tapestry of everyday life, he brings things to a shuddering climax. Yes, it harks back to pre-liberation times when homosexuality dare not speak its time too loudly for fear of frightening the horses. That had yet to come. But Gill’s George seems to accept his almost as naturally as he does the sun rising and falling, the seasons coming and going. I say almost because there is something in him that still makes him withdraw from his local community’s rehearsals for The York Mystery plays presumably because he senses his own attraction to its London-based assistant director, John. Perhaps he isn’t quite that easy in his skin, after all. Gill charts George’s relationship to his family with infinite telling detail and shifting time periods. You hardly realise his deftness until the denouement when you come to realise that The York Realist’s prime focus isn’t really about homosexuality at all, although, of course it plays a major role. No, it’s about something far more difficult to negotiate – life’s choices and how class and background can tear people apart quite as much as social convention or prejudice (of which, incidentally, and perhaps a little fancifully, there is very little in George’s family). George and John do come to love each other, intensely. But when George’s mother dies and there is nothing more to keep George in his Yorkshire dale, he resists the move. 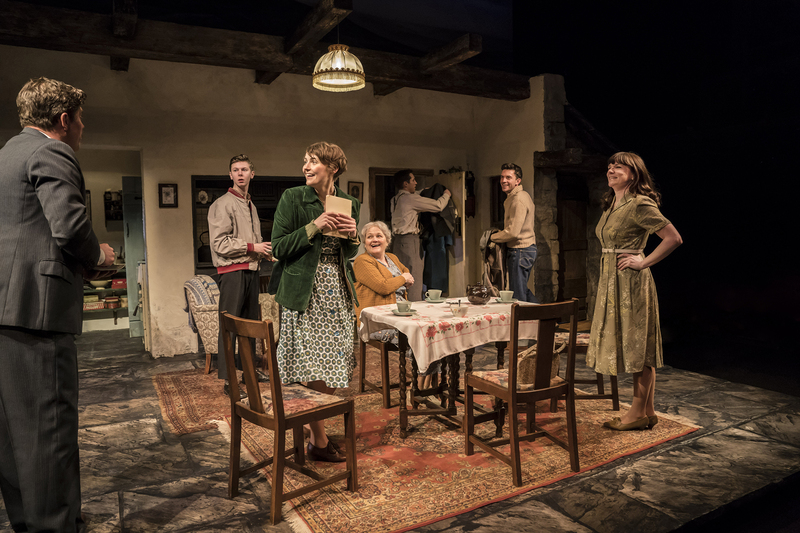 Robert Hastie’s production carries this forward with a cast who play together as if to the family born. In the end The York Realist is a drama in the best sense: character-driven, and Greek tragic in Peter McKintosh’s perfect wood beamed, black stone cottage hearth one room setting. 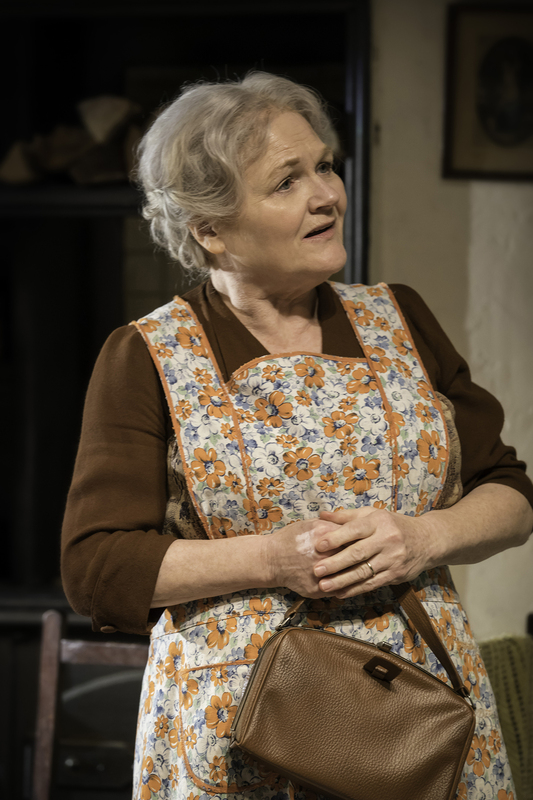 Lesley Nicol’s mother looks as though she’s been scrubbing and making tea for a lifetime, Lucy Black and Matthew Wilson as George’s sister, Barbara and brother-in-law, Arthur rubbing along together in a marriage of useful getting-on-with-it. And there is a lovely stage debut from Brian Fletcher as Barbara’s teenage son, Jack, all gormlessness, and staring vacantly into space. Leading the pack, though, is Ben Batt’s iconic George, stripped to the waist as might a miner after a hard day’s graft. 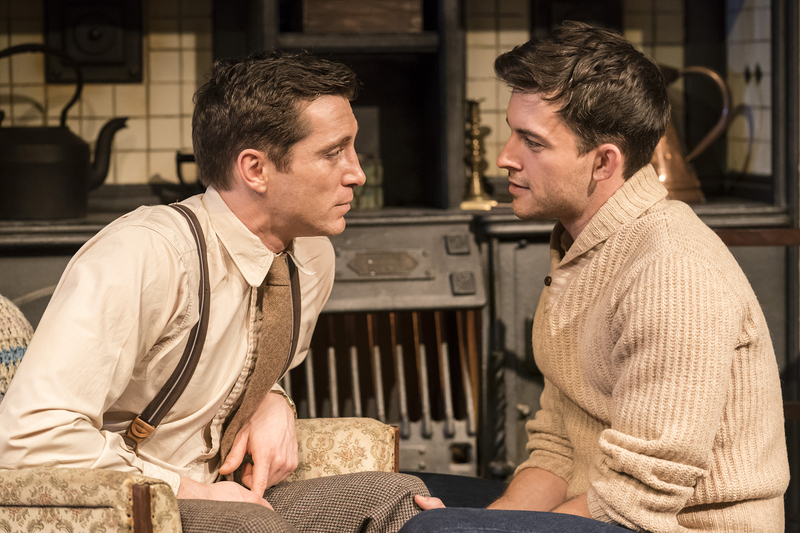 Jonathan Bailey’s John is the only one striking a raw note – or rather, speaking so softly his voice barely carries to the second row. How Hastie or the listed dialect coach Zabarjad Salam allowed that to pass the first preview is a mystery and sloppy. That caveat apart, one of Gill’s finest gets a right good outing here. Social realism at its very best.